You’ll remember that the Corcoran’s struggles were “resolved” in May, when the National Gallery of Art and George Washington University split responsibilities for its future, subject to the approval of Superior Court of the District of Columbia. …the Trustees of the Corcoran Gallery of Art have filed a petition with the Superior Court of the District of Columbia seeking a determination of cy pres, to permit the Trustees to implement agreements reached with the National Gallery of Art and The George Washington University, concerning the assets and operations of the Corcoran Gallery of Art and the Corcoran College of Art + Design. … The Trustees have filed a motion seeking the entry of a proposed form of order, and the motion has been set for hearing on the afternoon of July 18, before the Honorable Robert Okun, Judge of the Superior Court. 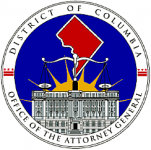 Copies of the motion and supporting documents are available on the website of the Office of the Attorney General at http://oag.dc.gov/…. Any person wishing to provide information or views concerning the petition and the proposed order should send comments in writing to the Office of the Attorney General with a copy to counsel for the Trustees of the Corcoran Gallery of Art, at the addresses below. Any comments should be received by noon on July 15. The Office of the Attorney General and the Trustees will compile and file the comments received with the Court prior to the hearing on July 18.